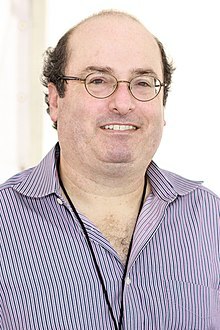 David Grann (born March 10, 1967) is an American journalist, a staff writer for The New Yorker magazine, and a best-selling author. His first book, The Lost City of Z: A Tale of Deadly Obsession in the Amazon, was published by Doubleday in February 2009. After its first week of publication, it debuted on The New York Times bestseller list at #4. Grann's articles have been collected in several anthologies, including What We Saw: The Events of September 11, 2001, The Best American Crime Writing of 2004 and 2005, and The Best American Sports Writing of 2003 and 2006. He has written for The New York Times Magazine, The Atlantic, The Washington Post, The Wall Street Journal, and The Weekly Standard. According to a profile in Slate, Grann has a reputation as a "workhorse reporter", which has made him a popular journalist who "inspires a devotion in readers that can border on the obsessive." Grann was born on March 10, 1967 to Phyllis E. Grann and Victor Grann of Westport, Connecticut. Phyllis is the former CEO of Putnam Penguin and the first woman CEO of a major publishing firm. His father Victor is an oncologist and Director of the Bennett Cancer Center in Stamford, Connecticut. Grann has two siblings--Edward and Alison. Born in New York City, Grann graduated from Connecticut College in 1989 with a B.A. in Government. He received a Thomas J. Watson Fellowship and conducted research in Mexico, where he began his career as a freelance journalist. He received a master's degree in international relations from The Fletcher School of Law and Diplomacy at Tufts University in 1993. At that point primarily interested in fiction, Grann hoped to develop a career as a novelist. His journalism career began after he was hired in 1994 as a copy editor at The Hill, a Washington, D.C.-based newspaper covering the United States Congress. The same year, he earned a master's degree in creative writing from Boston University, where he taught courses in creative writing and fiction. He was named The Hill's executive editor in 1995. In 1996, Grann became a senior editor at The New Republic. He joined The New Yorker in 2003 as a staff writer. He was a finalist for the Michael Kelly Award in 2005. In 2009 he received both the George Polk Award and Sigma Delta Chi Award for his New Yorker piece "Trial By Fire", about Cameron Todd Willingham. It has been described as the first thoroughly documented case of the execution of an innocent man under the modern American judicial system. Another New Yorker investigative article, "The Mark of a Masterpiece", raised questions about the methods of Peter Paul Biro, who claimed to use fingerprints to help authenticate lost masterpieces. Biro sued Grann and The New Yorker for libel, but the case was summarily dismissed. The article was a finalist for the 2010 National Magazine Award. Grann's 2009 non-fiction book The Lost City of Z: A Tale of Deadly Obsession in the Amazon recounts the odyssey of the notable British explorer, Captain Percy Fawcett who, in 1925, disappeared with his son in the Amazon while looking for the Lost City of Z. For decades, explorers and scientists have tried to find evidence of both his party and the Lost City of Z. Grann also trekked into the Amazon. In his book, he reveals new evidence about how Fawcett died and shows that "Z" may have existed. The book was optioned by Brad Pitt's Plan B production company and Paramount Pictures. It was adapted into a feature film of the same name and released in the US in 2017. An anthology of twelve previously published Grann essays, The Devil and Sherlock Holmes: Tales of Murder, Madness, and Obsession, was published in March 2010. In March 2014, Grann said he was working on a new book about the Osage Indian murders, "one of the most sinister crimes in American history." His book Killers of the Flower Moon: An American Crime and the Birth of the FBI was published in 2017, chronicling "a tale of murder, betrayal, heroism and a nation's struggle to leave its frontier culture behind and enter the modern world." It was a finalist for the 2017 National Book Award. The book was also later adapted for a film by Martin Scorsese in 2017. In 2000 Grann married Kyra Darnton, a television producer and daughter of John Darnton. He has curated the George Polk Awards. The couple has two children. As of 2009 they resided in New York City. The Lost City of Z: A Tale of Deadly Obsession in the Amazon. Doubleday. 2009. The Devil and Sherlock Holmes: Tales of Murder, Madness, and Obsession. Doubleday. 2010. Killers of the Flower Moon: The Osage Murders and the Birth of the FBI. Doubleday. 2017. The White Darkness. Doubleday. 2018. Based on the New Yorker article of the same name. "The Selling of the Scandal", The New Republic, September 28, 1998. "The Stasi and the Swan – The last spy story of the cold war." The New Republic, April 19, 1999. "Crimetown USA – The city that fell in love with the mob. ", The New Republic, July 10, 2000. "Giving "The Devil" His Due", The Atlantic Monthly, June 2001. "Which Way Did He Run? ", The New York Times Magazine, January 13, 2002. "Baseball Without Metaphor", The New York Times Magazine, September 1, 2002. "The Old Man and the Gun – Forrest Tucker had a long career robbing banks, and he wasn't willing to retire", The New Yorker, January 27, 2003. "The Price of Power", The New York Times Magazine, May 11, 2003. "City of Water – Can an intricate and antiquated maze of tunnels continue to sustain New York? ", The New Yorker, September 1, 2003. "The Brand – How the Aryan Brotherhood became the most murderous prison gang in America", The New Yorker, February 16, 2004. "The Squid Hunter – Can Steve O'Shea capture the sea's most elusive creature", The New Yorker, May 24, 2004. "Inside Dope – Mark Halperin and the transformation of the Washington establishment", The New Yorker, October 25, 2004. "Mysterious Circumstances – The strange death of a Sherlock Holmes fanatic", The New Yorker, December 13, 2004. "Stealing Time – What makes Rickey Henderson run? ", The New Yorker, September 12, 2005. "The Lost City of Z – A quest to uncover the secrets of the Amazon", The New Yorker September 19, 2005. "True Crime – A postmodern murder mystery", The New Yorker, February 11, 2008. "The Chameleon – The many lives of Frédéric Bourdin", The New Yorker, August 11, 2008. "The Fall – John McCain's choices", The New Yorker, November 17, 2008. "Trial by Fire – Did Texas execute an innocent man? ", The New Yorker, September 7, 2009. "The Mark of a Masterpiece" – The man who keeps finding famous fingerprints on uncelebrated works of art, The New Yorker, July 12 & 19, 2010. "The Yankee Comandante – A story of love, revolution, and betrayal", The New Yorker, May 28, 2012. "The Marked Woman – How an Osage Indian family became the prime target of one of the most sinister crimes in American history", The New Yorker, March 1, 2017. ^ "Hardcover Non-fiction Bestsellers". The New York Timesdate=March 6, 2009. Archived from the original on March 9, 2009. Retrieved March 9, 2009. ^ a b c d e f g h Potts, Rolf and Grann, David. "David Grann." RolfPotts.com. March 2009. Accessed May 26, 2009. ^ Jonah Weiner (April 11, 2011). "The Storyteller's Storyteller". Slate. Retrieved July 8, 2014. ^ "WEDDINGS; Kyra Darnton, David Grann". The New York Times. July 2, 2000. ISSN 0362-4331. Retrieved May 22, 2018. ^ Maneker, Marion (January 1, 2001). "Now for the Grann Finale". New York Magazine. Retrieved May 22, 2018. ^ a b c d e "Contributors: David Grann." The New Yorker. No date. Accessed May 26, 2009. ^ a b c d "Kyra Darnton, David Grann." New York Times. July 2, 2000. Heckenberger, Michael J. "Manioc Agriculture and Sedentism in Amazonia: The Upper Xingu Example." Antiquity. September 1998. ^ "Paramount, Brad Pitt Find 'Lost City'", by Tatiana Siegel, Variety. March 31, 2008. ^ Justin Chang, "James Gray's hauntingly beautiful 'The Lost City of Z' is Charlie Hunnam's finest performance," Los Angeles Times, April 13, 2017. ^ "I am David Grann". Reddit. March 2014. Retrieved July 7, 2014. And right now I'm working on a new book about an historical mystery. It's about the Osage Indians in Oklahoma. In the 1920s they became the richest people in the world after oil was discovered under their reservation. Then they began to be mysteriously murdered off—poisoned, shot, bombed—in one of the most sinister crimes in American history. ^ Sean Woods, "'Killers of the Flower Moon': Inside David Grann's New True-Crime Epic," Rolling Stone, April 17, 2017. ^ "Everything We Know About Martin Scorsese And Leonardo DiCaprio's Next Project, 'Killers Of The Flower Moon'". Esquire. July 17, 2017. Retrieved October 25, 2018. ^ The murders of Khalil Musa, Marjorie Musa and Rodrigo Rosenberg. ^ Henry Worsley, polar explorer. Online version is titled "The white darkness : a journey across Antarctica". Wikimedia Commons has media related to David Grann. This page was last edited on 20 March 2019, at 11:14 (UTC).